Whenever an agenda is scored or stolen, gain 2credit or draw 2 cards. 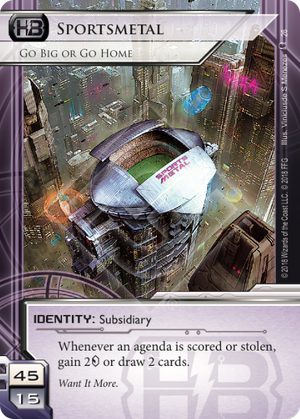 What happens if the Runner steals an agenda in the middle of accessing cards from R&D and the Corp uses Sportsmetal to draw cards? The Runner continues accessing from the topmost card of R&D that the Runner has not already accessed. If Sportsmetal drew past the point the Runner already accessed, the new top of R&D is the next card accessed. If Sportsmetal drew 2 cards the Runner has already accessed and there are other cards the Runner has already accessed, the Runner simply continues accessing from the point in R&D at which they are already accessing.